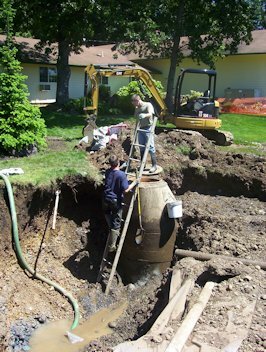 EXCAVATING - There is more to dirt work than just digging trenches and moving dirt. Preserving and improving the integrity of the soil, protecting the unexcavated surroundings, making certain that the slope of the new grade is correct (so water goes away from buildings and not into them!) and leaving the job site better than we found it are our priorities. 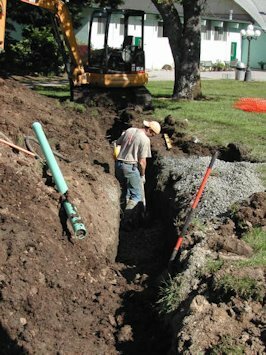 For the average home or small property owner, “Excavating” is a big word and therefore the assumption is that it must cost a lot! Don’t be intimidated by that big word. We’ve done jobs for as little as $100 and made some homeownerspleased as punch with their upgraded yards and re-graded driveways! 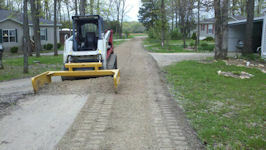 Call Impact Excavating to get a fair price and a quality result!